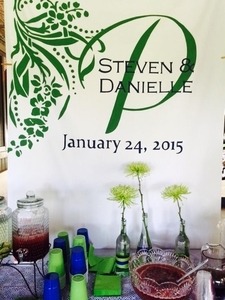 Order a photo backdrop for your Engagement Party, Couples Shower or Reception - or use the same at all three events! Photo Backdrops are easy to use - we sew a rod pocket in the very top of the Backdrop, and the length is customized to suit your needs- but our standard backdrop length is 7 feet and 54 inches wide, perfect for accommodating a group photo. We use a heavy duty weight fabric with backing, so your photo backdrop stays in place and does not show through any light from windows or lighting from behind. It provides a perfectly opaque backdrop for your photos or any display. 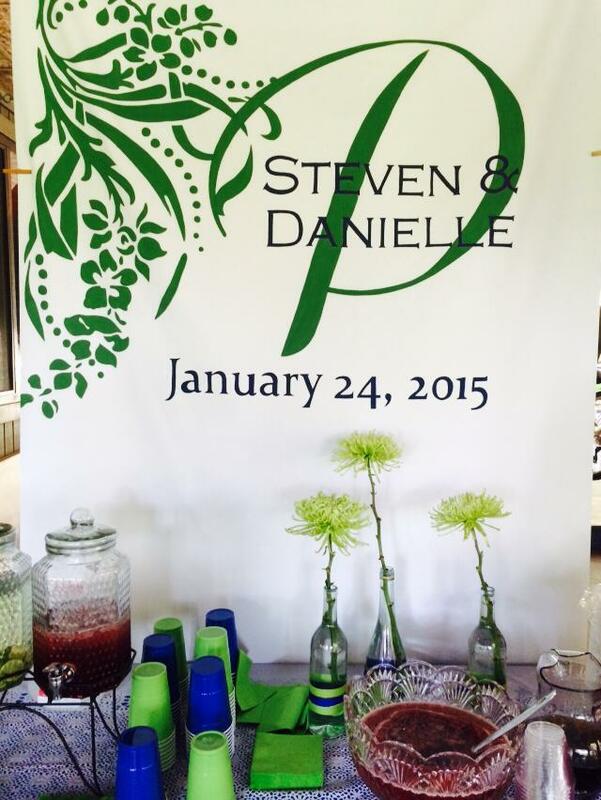 Backdrops are available in white or ivory and any design can be painted on them to complement your decor and event! Photo Backdrops start at $125, but email me at tamara@eventbelladesigns.com for more information or to send your design/event logo.